Mellie is not the average twenty-something. Her older brother, a SWAT member, and all his fellow officers inundate her day-to-day life. Though Mellie has her sights set on Morris, she can barely bring herself to function when she is in his presence. Morris, her brother’s best friend, is also a SWAT officer and, amazingly, has the same stunned-into-silence demeanor toward Mellie. When the two are finally forced into an initial date, it seems the stars are aligned for the beyond-perfect couple. Before Mellie and Morris can begin their life together, they must overcome one glaring obstacle–the one person who knows no boundaries when it comes to keeping Morris from being with the one woman he loves more than anything. Surrender to You, book one in Nikki Mays’s SAPD SWAT Series, introduces two main characters beginning an intensely romantic life with one another. Mays’s first in a series is primarily a romance novel peppered with a hint of mystery and a moving commentary on mental health. Mays incorporates concerns over addressing mental health needs via her antagonist who is not revealed until late in the story line. Though the plot takes a harrowing turn, Mays makes sure to tastefully deal with her character’s failing mental health and the various ways those around the character missed cues. The author does a nice job of keeping readers guessing as to the identity of Mellie’s stalker. I found myself guessing the culprit’s identity based on three different motives as the reading progressed. I was not completely surprised to find out who had been harassing Mellie. However, I was impressed by Mays’s ability to redirect my attention to and away from three characters simultaneously. For fans of romance novels, Surrender to You contains it all. I was more impressed with the style in which Mays has chosen to use in her writing. The bounce back and forth between Mellie and Morris’s first-person accounts is highly effective in engaging the reader. The first-person narrative provides a much more intimate look at the characters’ thought processes and allows the reader to both sympathize and empathize with their struggles. In addition, Mays makes use of a relatable conversational tone in her writing that keeps the reader involved and invested in the budding relationship and the mystery surrounding Mellie’s unwanted attention. All in all, Surrender to You is an easy and fast read due to Mays’s ability to reach her audience so quickly in the opening chapter with Mellie’s heartfelt confessions. Mays gives readers well-drawn characters and has established a wonderful cast readers will be eager to see again in the next installment. Mays has tapped into a target audience who will most definitely agree with Mellie in her assessment of the prowess of the members of the South Amberly SWAT. 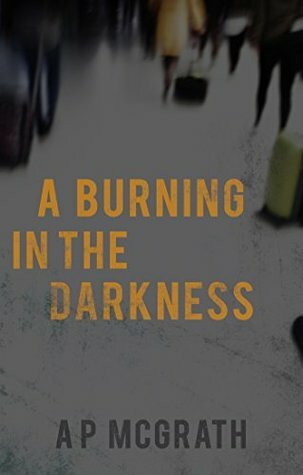 A Burning in the Darkness follows Father Michael serving at an airport when he becomes the prime suspect in a heinous crime. What was the inspiration to the setup to this thrilling suspense novel? Essentially it was the opening set up/dilemma. An anonymous voice in a darkened confessional confesses a murder to Father Michael Kieh. Circumstance and evidence points to the Michael’s guilt but he remains faithful to the Seal of Confession and doesn’t betray the identity of a young witness. Michael’s dilemma is between remaining true to his ideals or saving himself from a long prison sentence. Father Michael Kieh is an intriguing and dynamic character. What were the driving ideals behind the characters development throughout the story? In relation to Michael, I often asked myself: Is it possible to be so good that it becomes self-destructive? Is it possible to have the same degree of love and imaginative sympathy for the entire human race as one’s family and not be overwhelmed? Even asking the question seems exhausting and tiresome but the answer is self-evident. You would be overwhelmed to the point of physical and psychological destruction. Yet Michael comes close to this form of destruction. Michael’s childhood was forged in the horrors of the Liberian civil war, but he chose a life dedicated to the Good. 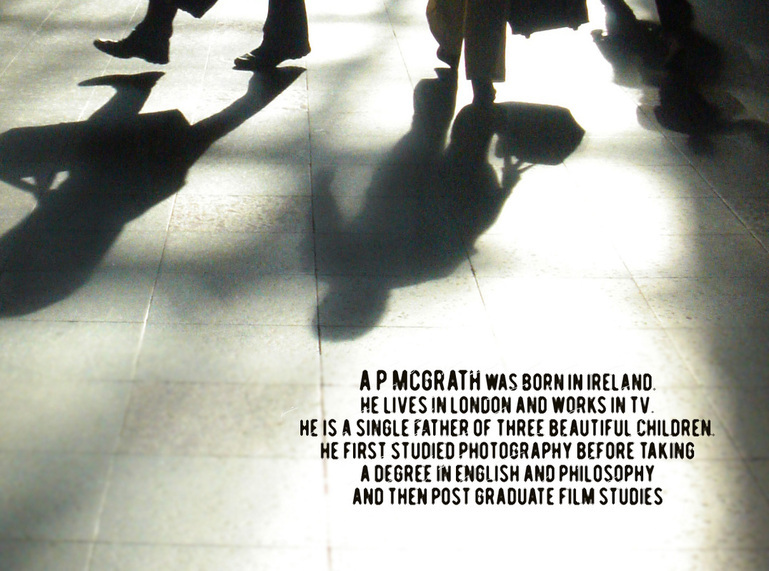 Michael has the moral freedom and strength to be different to his environment. He was a child witness and was protected from harm so he knows the importance of the strong protecting the weak. But we all need a little selfishness to survive. And Michael certainly has a smattering of selfishness because he is not afraid to assert his need for love as a strong-willed lover. But the reader roots for Michael because he refuses to betray his higher ideals. I wanted the novel to justify Michael’s faith in the ideals of putting the needs of others who cannot protect themselves before your own needs. It’s easy to talk the talk on this, but entirely different to walk the walk when you have to make a big sacrifice. I wanted to write a page-turner novel, but the action explores a deep morality without, I hope, being preachy and self-justifying. It’s also important to me that whether you’re a diehard atheist or fervent believer that you will be engaged by Michael’s character, dilemma and beliefs. I find a problem in well written novels in that I always want there to be another book. Are you writing another book? If so, when will it be available? Your kind and positive response makes me want to write another. Most of my time and effort has been spent getting A Burning in the Darkness published. Michael’s story is complete so there’s no room to revisit it. I am working on an outline for another novel. Actually, mostly researching it at this point. A Burning in the Darkness took me a good 7 years to write. That’s too long! I’d also like to write a novella in the meantime. Maybe 80 to 100 pages. I’d like to be able to do it in about 6 months, but I’m a slow writer. Sadly I lost my wife to breast cancer 18 months ago. I have three amazing teenage children who are the best thing about my life, but being a single dad and working to keep them fed and housed takes up a lot of time. But that’s my primary responsibility. Nevertheless, my kids are also a powerful source of moral strength and determination. And somehow writers always find the time to write.